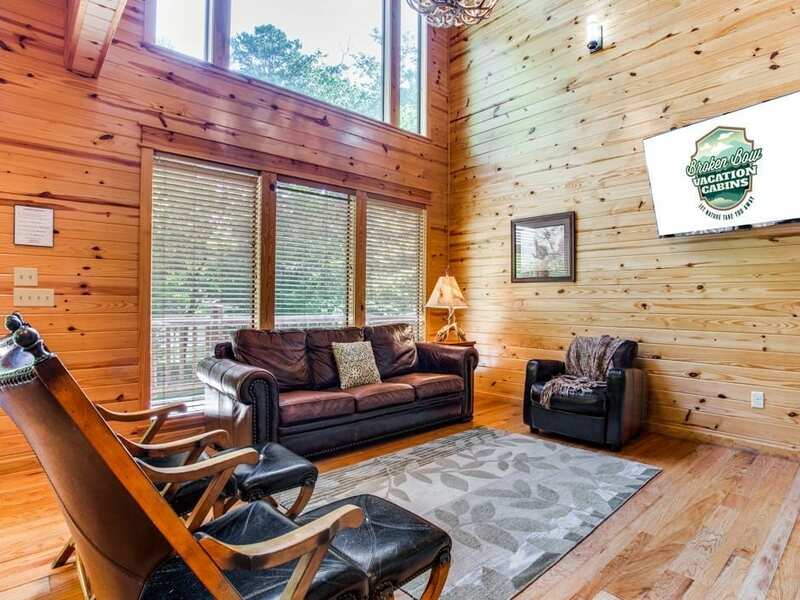 Large kitchen with tile countertops, upgraded appliances of refrigerator, gas cooktop, electric oven, microwave, dishwasher; automatic drip coffee maker. Small appliances of blender, hand mixer and crock pot as well as cookware, bakeware, dinner ware, and utensils are to be found in the cabinets. 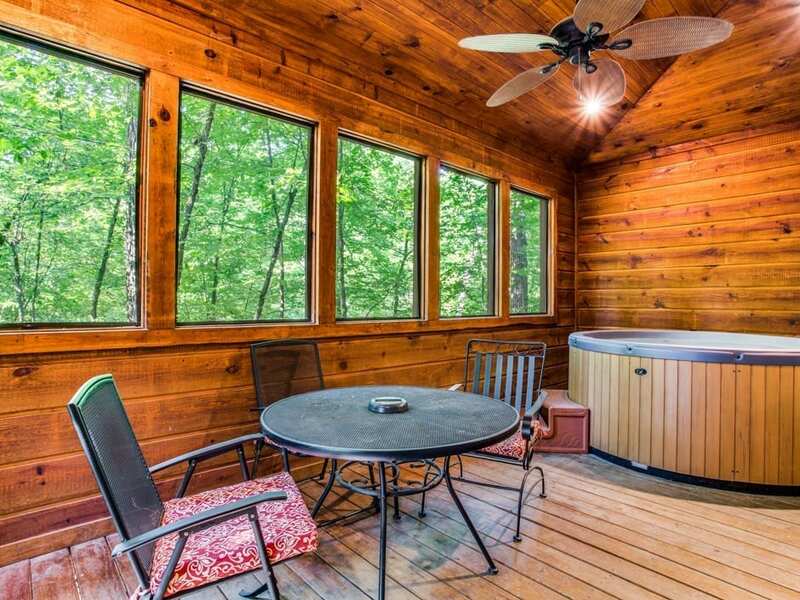 This one bedroom cabin has a large deck and screened-in porch with an outdoor hot tub. 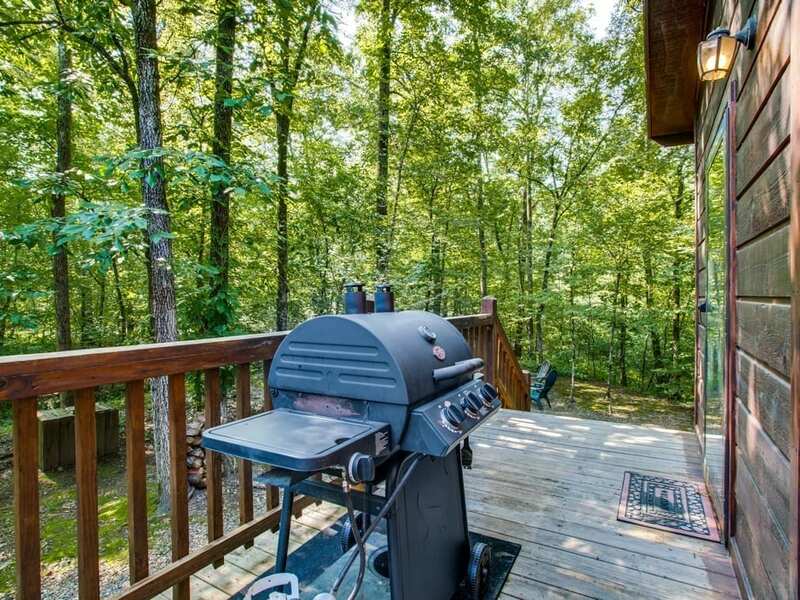 There’s a gas BBQ grill(propane provided) located on the outside deck. 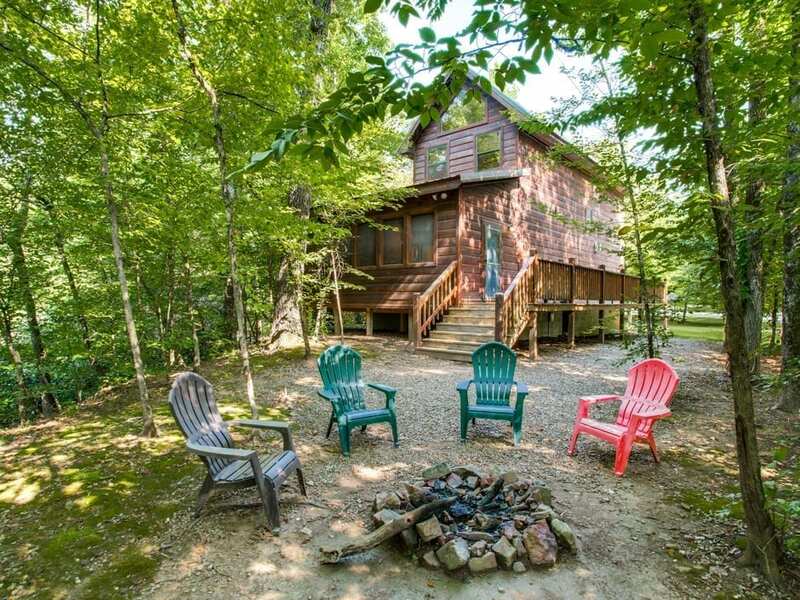 A fire pit with benches for outdoor relaxation is located off the porch on the ground not far from the creek. 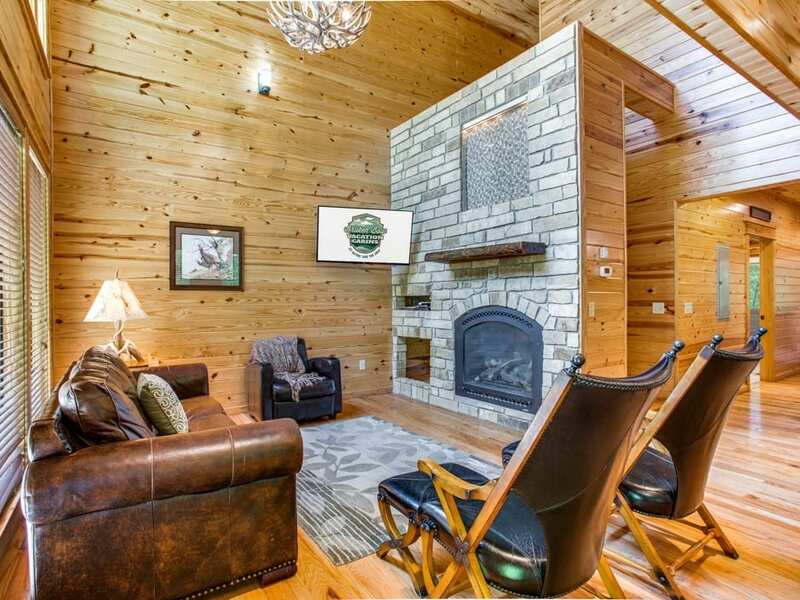 Inside you are able to cozy up next to the gas log fireplace (easy switch on/off) while watching your favorite shows on the large screen HDTV with Direct TV in the living area. The sofa converts to a queen sleeper to provide extra sleep arrangement. 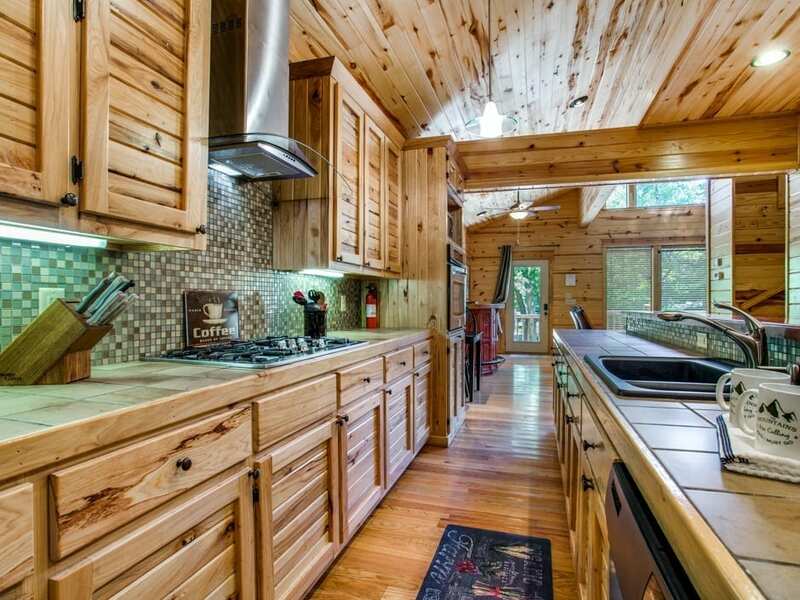 Prepare meals in the custom kitchen that is equipped with gas cook top, separate oven, microwave and dishwasher. 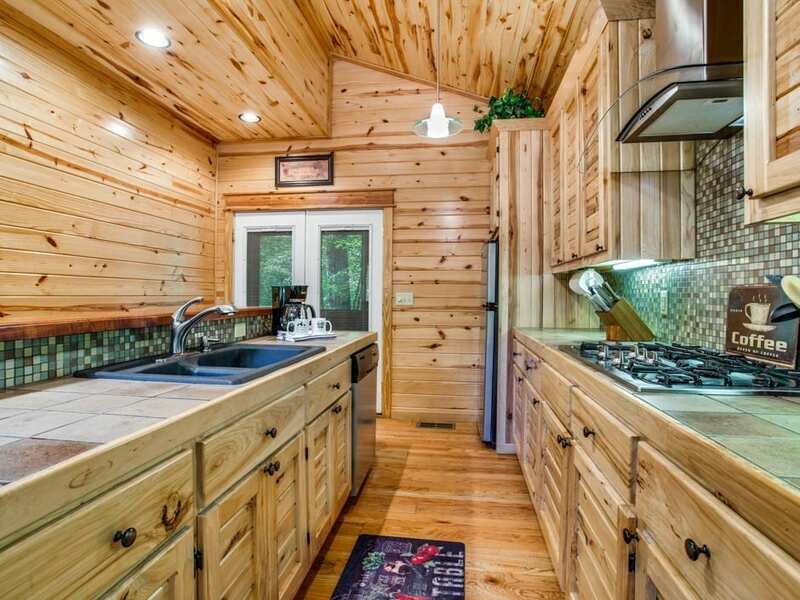 The cabin comes furnished with cookware, dinnerware, glassware, cooking and eating utensils. Automatic drip coffee maker (filters and coffee provided) and small appliances of toaster, blender, and hand-mixer. 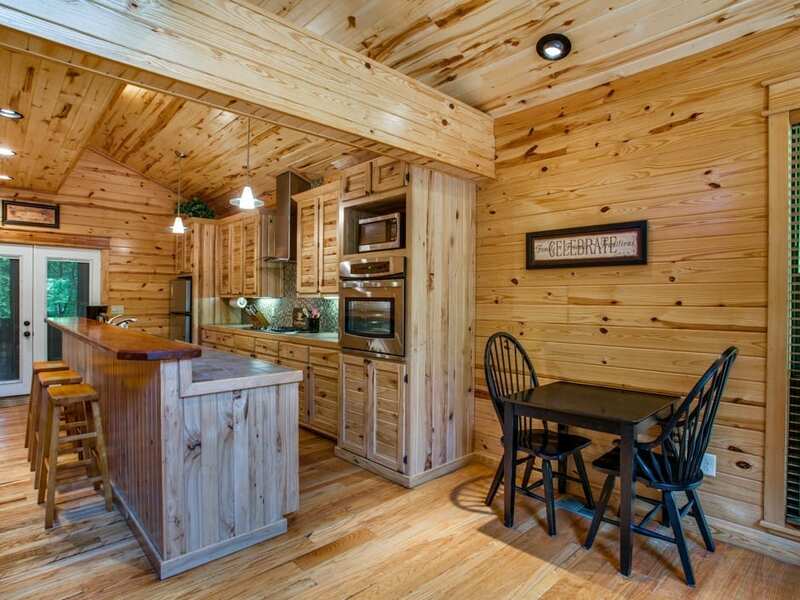 Eating arrangements include a dining table with seating for 2 as well as stools at the beautiful custom log bar-top counter. 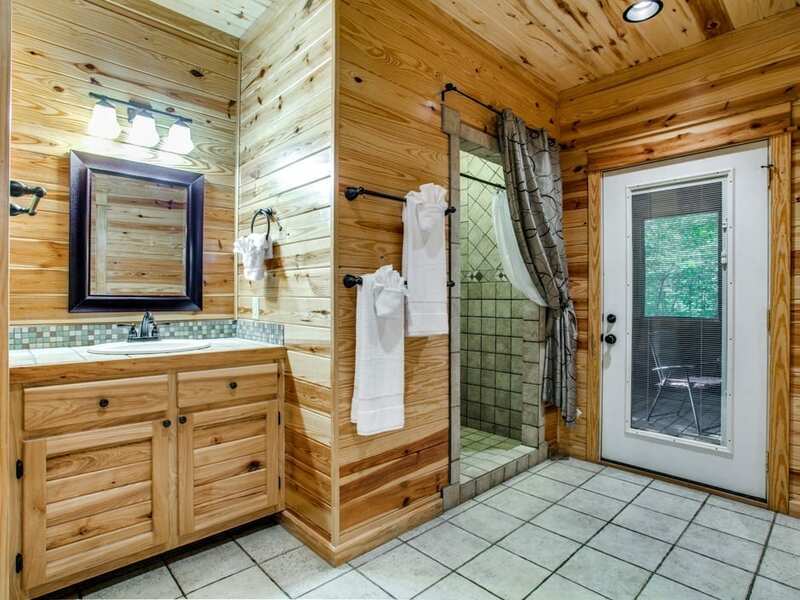 The downstairs bathroom with walk-in tile shower provides convenient door access to the back screened-in porch/ hot tub area. 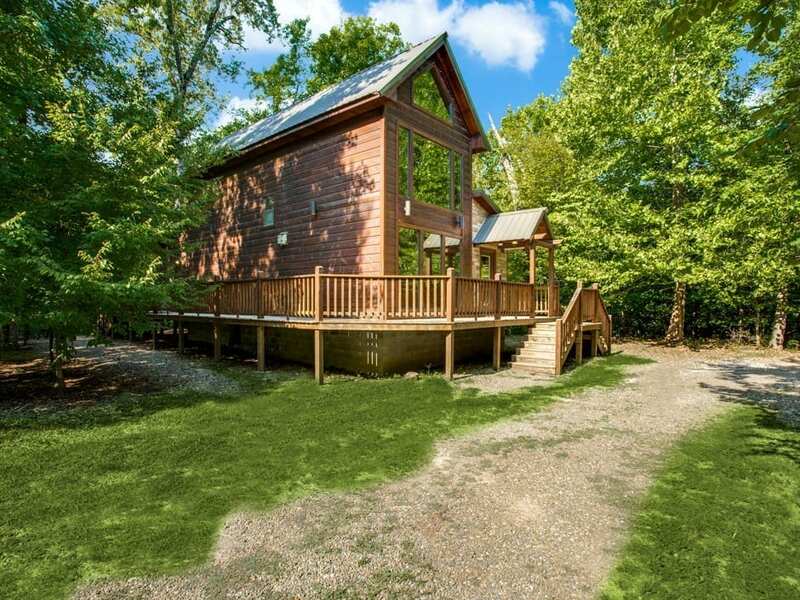 A full size washer and dryer are located in the down stairs bathroom. 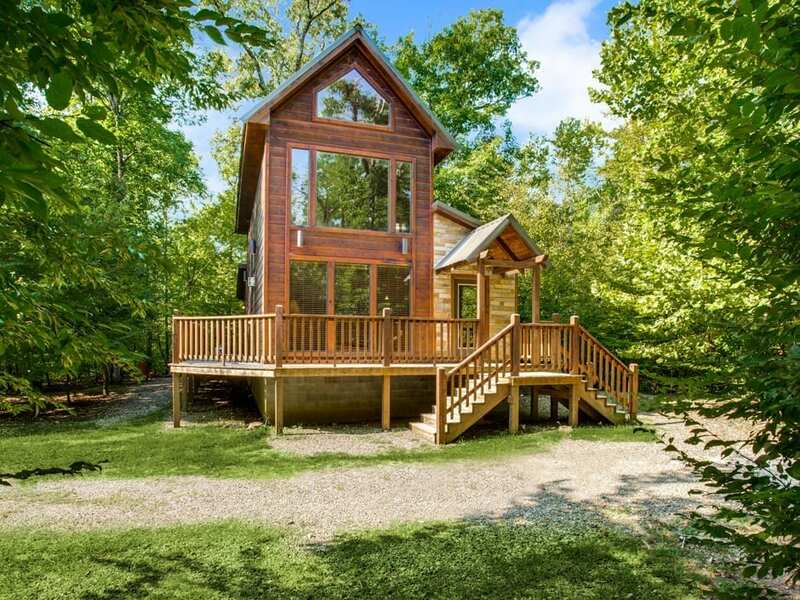 Climb the stairs to the master bedroom/bathroom area. 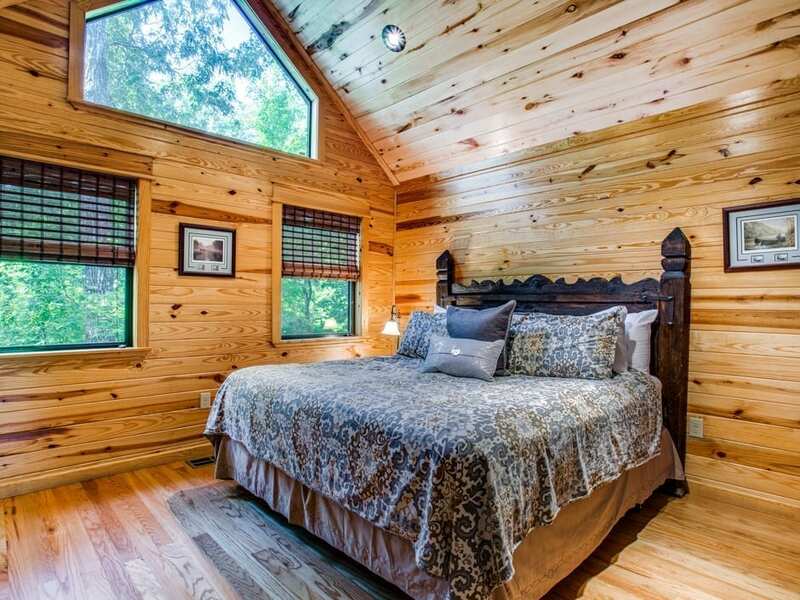 The king size bed with custom rustic door headboard sits under large windows giving a tree top view of the back creek area. 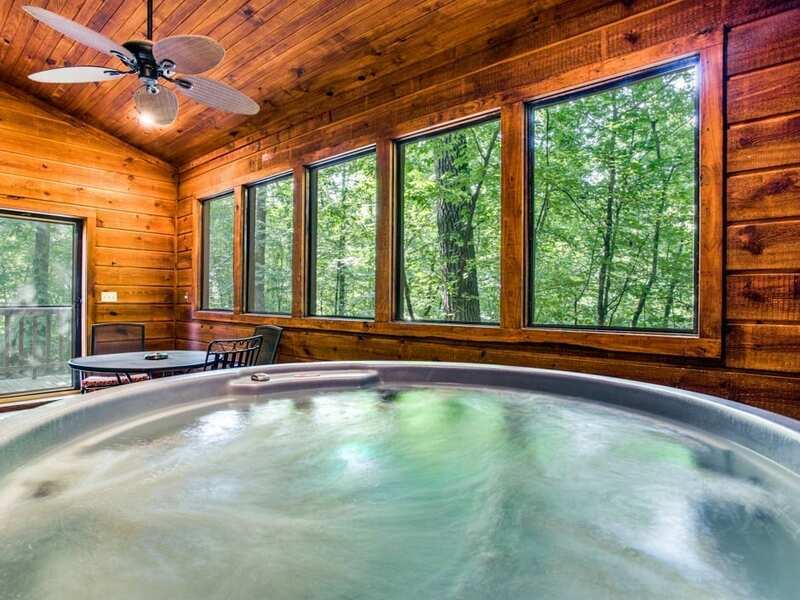 The bathroom has tub/shower combination. 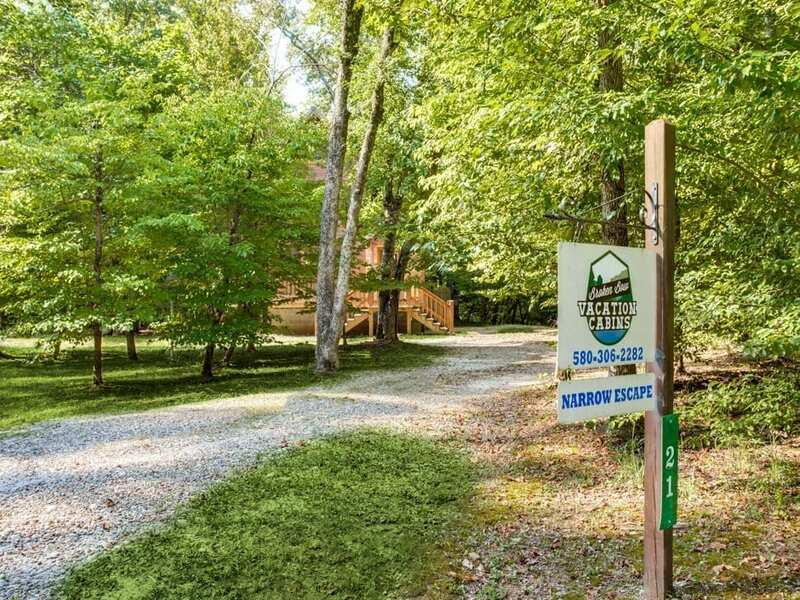 Narrow Escape is located just minutes away from Timber Creek Trail Merchant shops and Restaurants. 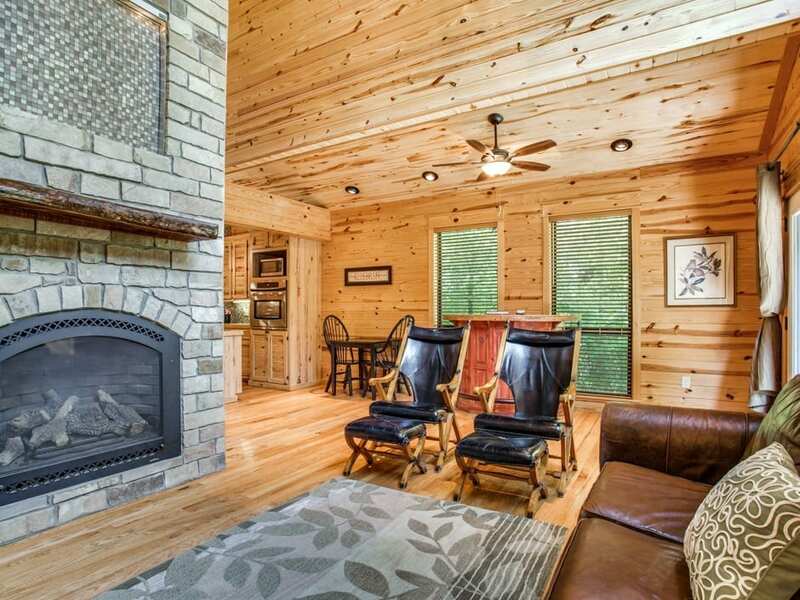 Beavers Bend State Park, Broken Bow Lake, Cedar Creek Golf Course and other area attractions are within a 5 mile radius of the Timber Creek development.